In this blog by using the powershell script we can find the firmware version of the ilo with the date. 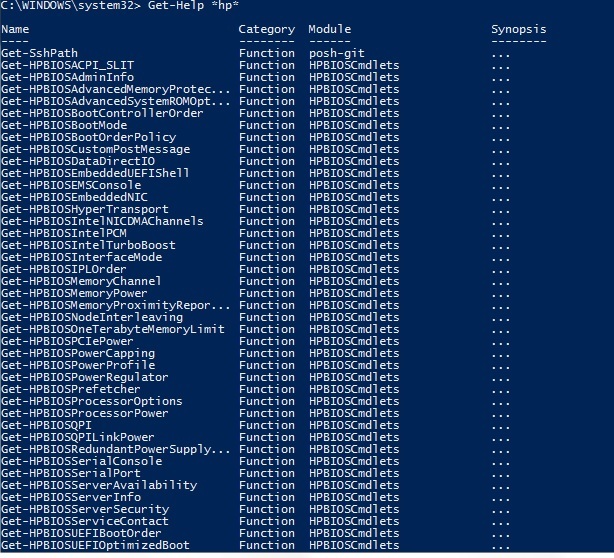 We need HP Powershell cmdlet to run this script and download the same from the below link. To find the HP ilo and its details , make sure to install the HPiLOCmdlets-x64.msi and look for the pdf for the installation steps. To run this script we need We need Find-HPilo and get-HPiLoFirmwareversion cmdlet. Powershell script to find the ilo firmware version of the blades running on the HP Enclosure. Powershell script to find the HP valid Onboard Administrators list in the subnet. Powershell Script to get the specified direct attached blade device serial number. Powershell to find the firmware version of the HP Enclosure Onboard Administrator and its related components. This entry was posted in HP, Powershell and tagged HP, hp c7000 enclosure, HP Firmware, HPilo, Powershell. Bookmark the permalink.